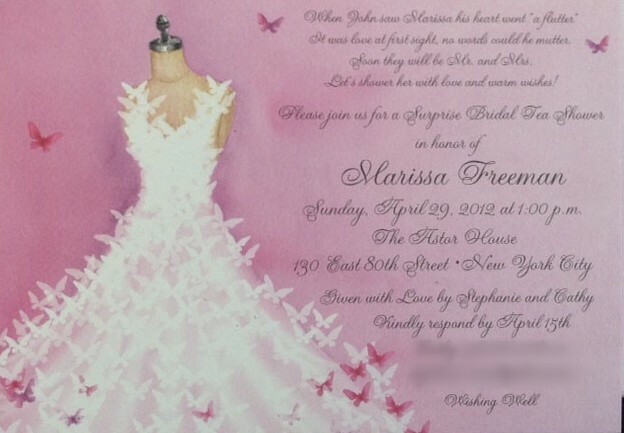 -Overall, Marissa is planning a very traditional wedding. She has even bought one of those old school bride and groom cake toppers to put on her wedding cake. First of all, that's just adorable. I love those cake toppers. I love that Marissa is using them traditionally, and not like to be trendy vintage-y. 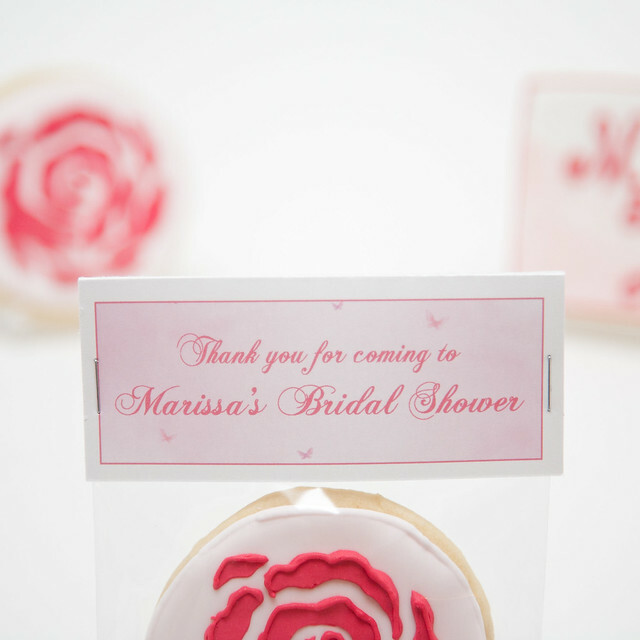 I love what that simple tidbit implies about Marissa and I love that it comes from her best friend who is simply trying to break it down for me so that all the elements of her friend's bridal shower will truly represent the bride as much as the little details of her wedding day will. 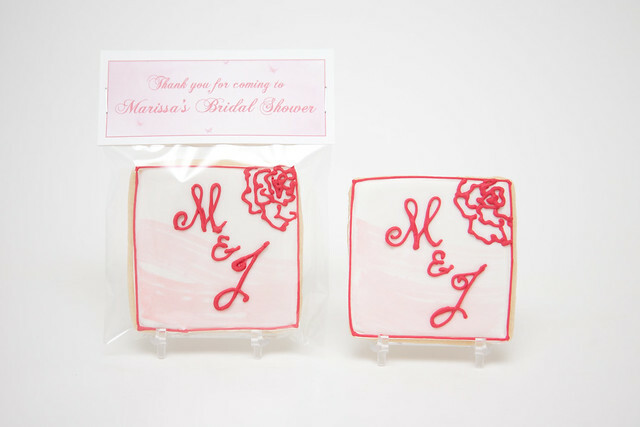 Here is the bridal shower invitation and the table numbers / place cards they used at the shower and that Cathy sent me so that I could coordinate my cookie and favor tag design with. 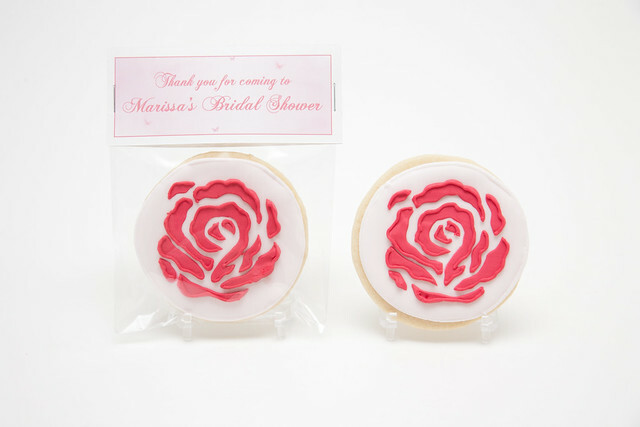 Cole ended up actually making me a custom stencil in order to do the rose blossom cookies. I thought this would make for a really neat, consistent look. We sketched out the stencil design several times in order to get it just right. Even though it was a stencil, I still wanted it to have that romantic and organic look of the rose blossom. I didn't want it to be too stylized or modern. That's where knowing the tidbits about Marissa's style are so important! 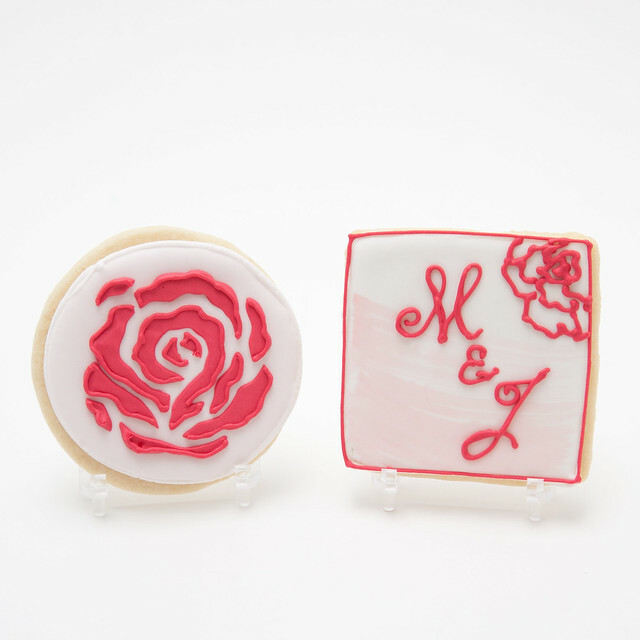 After I stenciled on the roses, I piped over them along the outside edge to give them a little more dimension. Finally, Cole helped me make the tag design, using the watercolor look and scattered butterflies from invitation design as the background. I know the photos of my cookies are starting to look kind of "cookie cutter", which may be boring to look at for some of you. So, I'm sorry. But my motivation has been to start documenting all the different kinds of cookies I'm making in a consistent way. I like keeping the photo really clean and fresh (steril, even) in it's pre-shipped state. 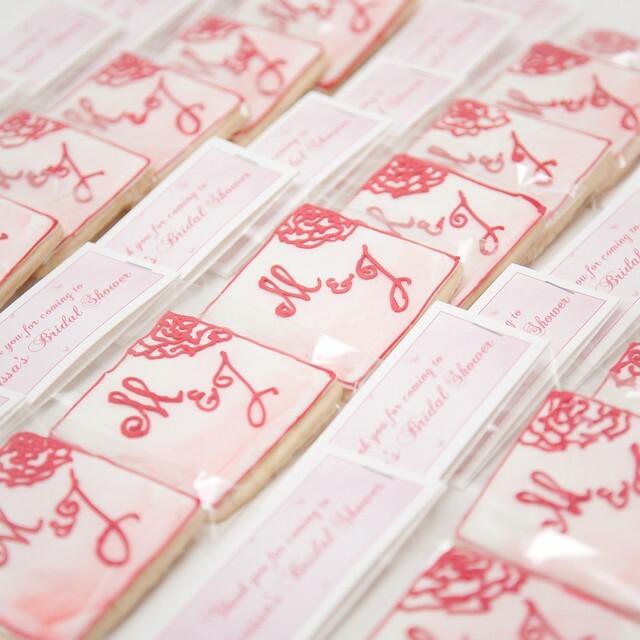 Then, in a perfect world, I get to share photos of the cookies in their new life (albeit, a short life) but having their "moment" at a happy celebration with fun-lovin' people. This time I did get photos from the party so I can share some more exciting pictures with you! 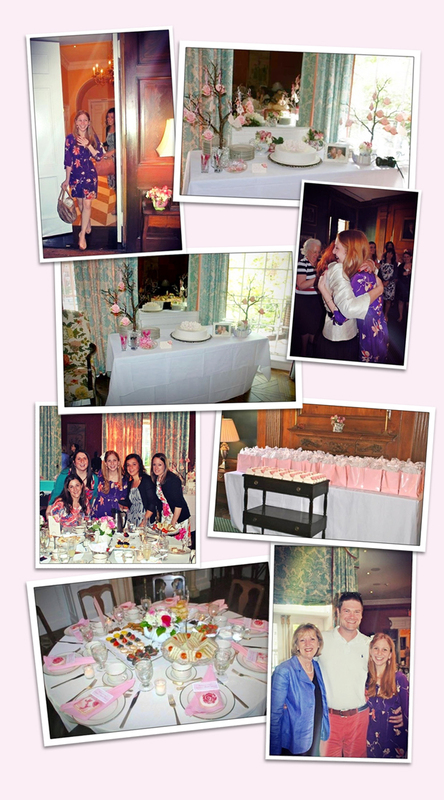 Without further adieu, here are a few snapshots from Marissa's gorgeous shower, courtesy of Stephanie Bragino. Thank you Stephanie! Thank You, Cathy, for the fun order and a big congrats to you, Marissa! !